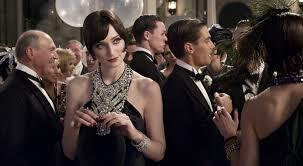 The Great Gatsby – Did You See That One? 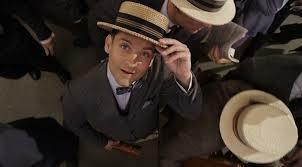 At the height of the roaring twenties Nick Carraway (Maguire) comes to New York with hopes of finding his fortune on Wall Street. He takes up residence outside of the city near the palatial mansion of the mysterious Mr. Jay Gatsby (DiCaprio). While being introduced to society through his cousin Daisy and her husband Tom, Nick has a chance encounter with Mr. Gatsby. 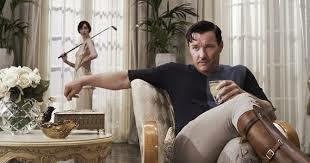 Soon the two become friends and Nick begins to question the truth behind the legend of Jay Gatsby. This truth is far closer to Nick than he ever imagined, and soon he is part of Gatsby’s elaborate plans. Baz Luhrmann (Moulin Rouge!) became the sixth director to adapt the classic F. Scott Fitzgerald novel The Great Gatsby. Once again Luhrmann brought his unique vision to a classic story, much as he had done with 1996’s Romeo + Juliet. This time he once again brought an incredible cast. This cast includes Leonardo DiCaprio (Titanic), Tobey Maguire (The Cider House Rules), and Joel Edgerton (Warrior). Isla Fisher (Rango), Carey Mulligan (Drive), and Elizabeth Debicki (A Few Best Men) are also part of this unique film. Luhrmann films are a lesson in attention to detail. Not only are the sets and scenes incredibly put together, but the story is woven into the setting perfectly. The novel from which this film was adapted is not an easy read. Thankfully, Luhrmann found the essence of this story and told it beautifully through a wonderful script and intense visuals. 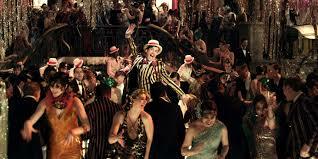 The script was the work of Luhrmann and Craig Pearce (Moulin Rouge! ), his long-time collaborator. The details are important, and the costumes and sets are incredible. In some ways they feel very overdone, but that’s a great way to portray a time of extreme excess in the history of America. The costumes are a perfect fit for the time, or at least the stereotype of how we view that time. Bringing all of this together with impressive camera work makes this a splendid visual experience. Music also plays a key part in this movie, as it does in most of Luhrmann’s work. This time he manages to combine the music of the twenties with the current stars of today. This creates a unique energy in the film that works to accentuate the excesses he’s portraying. Add in a score by Golden Globe winner Craig Armstrong (Moulin Rouge!) and you have a movie that’s more of an experience than most these days. This movie does have its flaws. I think that it seeks to find any defined mood until a quarter of the way in. This leaves the first part of this movie feeling a bit aimless, while trying to get to the baseline of the plot. I don’t think it’s a fatal flaw, but it doesn’t help to catch the viewer right off the bat. Overall, I think this movie is a powerful look at the lessons of excess. Thankfully, the movie doesn’t seek to preach or reprimand, only to educate through a sort of parable. Critic Edwin Clark once called the novel “(a) curious book, a mystical, glamourous story of today.” I think the same thing could be said for this adaptation. If you’re a fan of Luhrmann I doubt you’ll be disappointed. For fans of the book, this might be a refreshing new take on a classic story. I give this one 4.8 out of 5 stars. You liked this a lot more than I did. I felt it was empty and I never cared about the love story because too little of it was shown. Plus the narration didn’t add anything. In my opinion this is a fantastic film from almost every aspect. I understand that some people couldn’t get on board, but I think this was a success. Pingback: Coming Soon: Fall and Winter of 2013 – Part II | Did You See That One? Pingback: The 2014 British Academy Film Awards | Did You See That One? Pingback: Inside Llewyn Davis | Did You See That One? Pingback: The 2014 Academy Awards | Did You See That One? Pingback: The Top Films of 2013 | Did You See That One? Pingback: The Man from U.N.C.L.E. | Did You See That One? Pingback: Definitely, Maybe | Did You See That One? Pingback: Nocturnal Animals | Did You See That One? Pingback: Ride with the Devil | Did You See That One? Pingback: Mudbound | Did You See That One?